Hotel Luz del Mar is located in the unspoilt northwest of Tenerife, the “islands of permanent spring", in the picturesque town of Los Silos. Surrounded by a banana plantation and views within eyeshot to the sea 200 metres away, the Hotel Luz del Mar is the ideal starting point for your sporting and cultural holiday activities. In Los Silos, which means in English the "granaries", grain was grown in former times. Even today this is shown everywhere in the well preserved threshing areas. 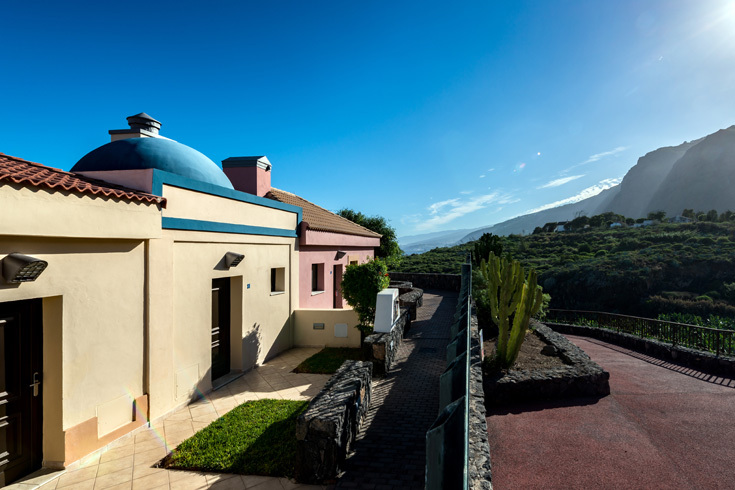 The little town with about 4,200 inhabitants nestles at the foot of the Teno Mountains, bedded in the idyllic countryside in the northwest of Tenerife and is well known for its proven cleanest and healthiest air in the island. The centre point of the tranquil little town is the Plaza de la Luz. Little bars, restaurants and shops invite you to take a pleasant walk through the village or to linger. Enjoy the charming atmosphere with a typical “café cortado“, a delicious espresso with some milk. Los Silos, together with the neighbouring villages of Garachio, Buenavista and El Tanque form the Isla Baja region with its incomparable countryside and natural environment. 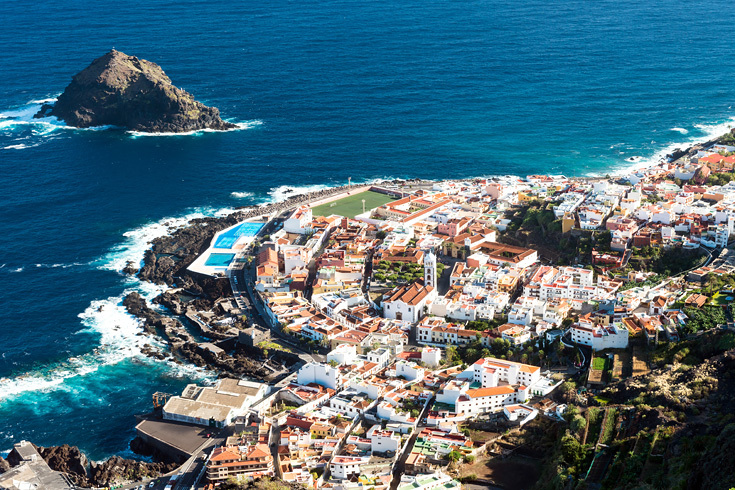 This region, also called "The Secret of Tenerife", is waiting for you to discover it. The popular hiking areas of the Teno Mountains and the Teide National Park are almost on the doorstep. The famous dragon tree of Icod is not far away. Golfers can find an 18 hole golf course in Buenavista, about 5 km away from the hotel.